Whether you’re brand-new to the world of vaping or thinking about trying it, you may have heard the term “throat hit.” It’s a popular phrase in vaping lingo, and you may be wondering what exactly it means. On the other hand, if you’re an experienced vaper, you likely know just how important a good throat hit is for a quality vape experience. Whatever the case may be, learning more about the concept of a throat hit can help you improve your vape experience, whether it’s your first or five hundredth. A throat hit is the feeling and satisfaction that you get in the back of your throat and lungs after inhaling a nicotine-based vapor. One of the most important issues is your juice selection. The great news is Vapor Fi offers over 30,000 combinations of nicotine e-liquids, so you shouldn’t have a problem finding something you like. Many of our customers rave about our fruity and dessert-inspired combinations. However, if you were formerly a heavy tobacco smoker, you may not achieve the best throat hit from these flavors. If this is the case, consider a tobacco-based flavor. Is there enough liquid in your tank? This is one of the most important factors that vapers overlook. If there’s too little vape juice, then not enough vapor will be produced, which means a less-than-ideal throat hit. You must take longer and slower drags with a vaporizer than a traditional cigarette. If you used to be a traditional smoker, you probably remember that it was imperative to take quick hits for satisfaction. However, with vaping, there’s no need to rush. A good rule of thumb is to make your drag last at least 3 to 6 seconds. Don't be in a rush to exhale. This is where the satisfaction of the throat hit takes place and taking it slowly can help you savor the experience. The amount of nicotine in your vape juice is important as well. If you have not been a traditional heavy smoker, then 8mg is likely sufficient. However, if you were a heavy smoker, 24mg may be what you are seeking. You can go up to as high as 36mg, though for most people, that’s often a bit too strong. Take your time to get it just right. If the throat hit feels too weak, it can feel like you aren’t inhaling anything. Too strong and it can be painful and damaging to your throat. Use patience when learning what works for you. If you're looking for a stronger throat hit, consider a higher-voltage device like the SMOK Devilkin 225W TC or the VaporFi V-Grip 220 TC MOD to really warm up the liquid. 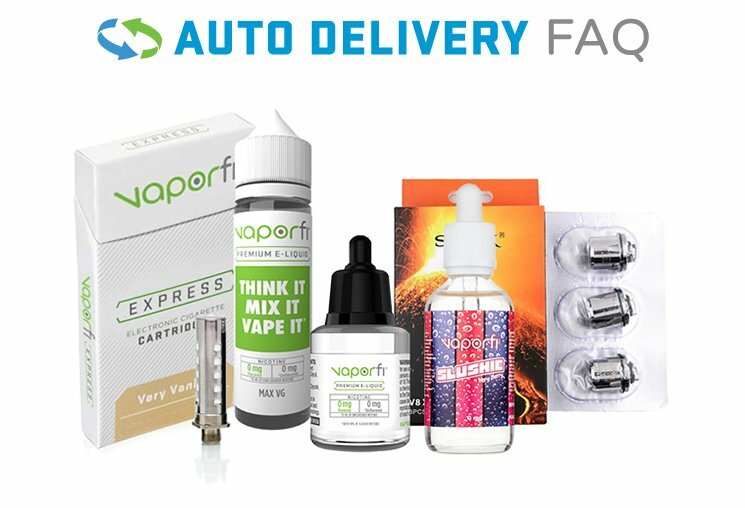 At VaporFi we offer a full range of excellent devices that we believe will help reach the ultimate vaping satisfaction. Whether you’re looking for an advanced vaporizer that will guarantee some superb throat hits or something fairly simple for your first attempts at vaping, you can find it on our website. Keep in mind that vaping can be trial and error, it may take a little time and effort to learn how to do correctly. Think of it like this: buying a vaping device is a lot like beginning a new relationship. You should ask yourself what you can do for your vape device to work its best and what the device can do for you to provide the best vaping experience possible. One thing is for sure; don't give up on achieving the best relationship you can have with your vaporizer. For more information, please continue browsing our blog and knowledge center. And happy vaping!